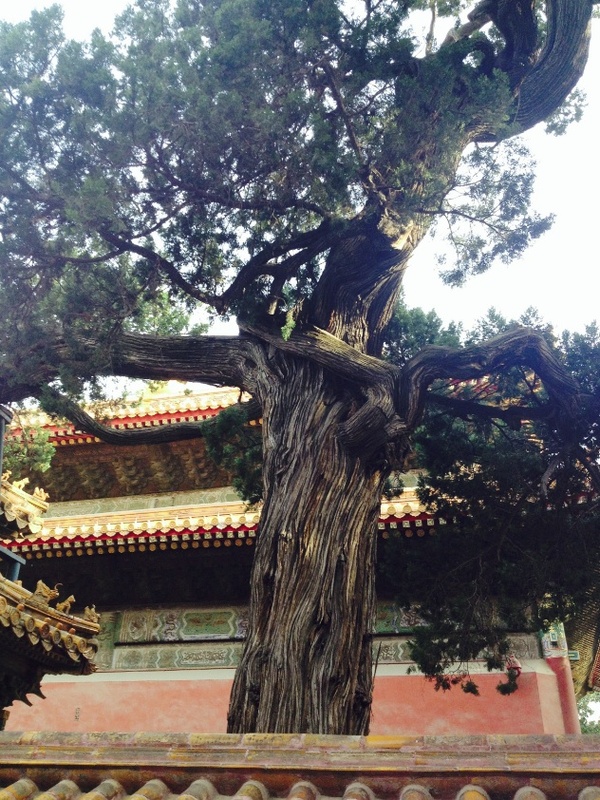 Inside the Forbidden City in Beijing. 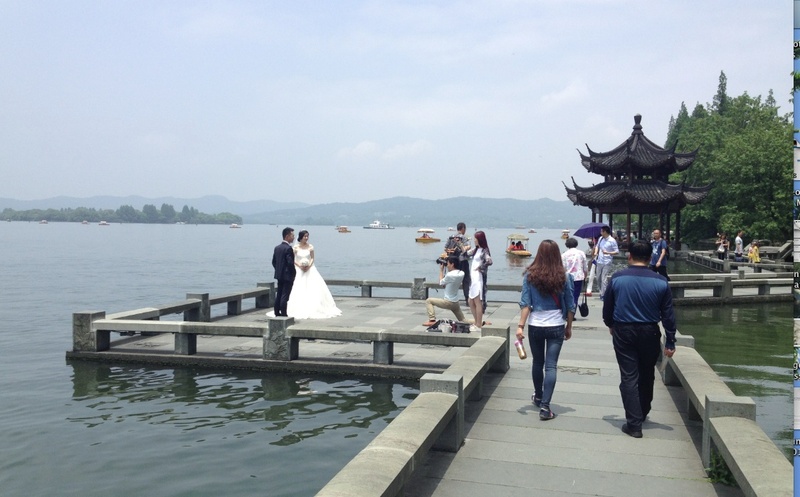 Spring is a good time to visit China. The searing heat of the summer has not yet arrived, and the parks and markets are full of life. China is a place of striking contrasts. 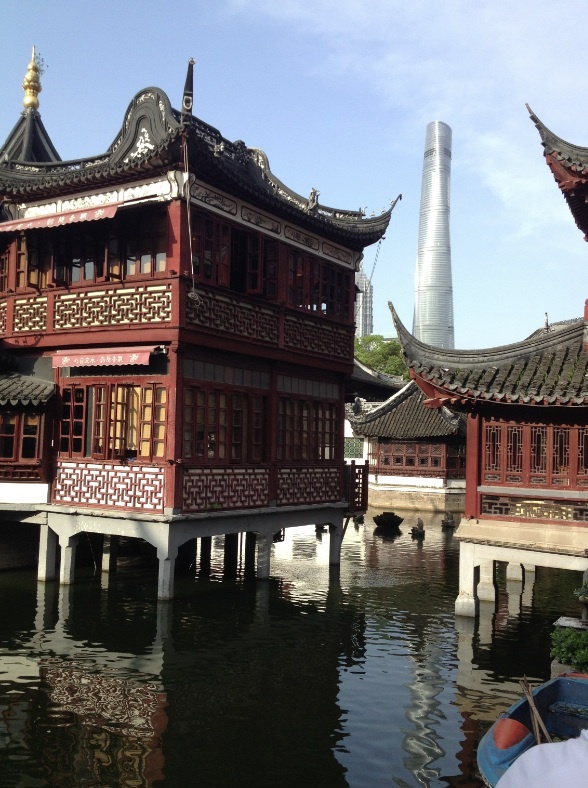 Beijing and Shanghai are huge, modern cities, but there are also peaceful open spaces and amazing historic buildings. 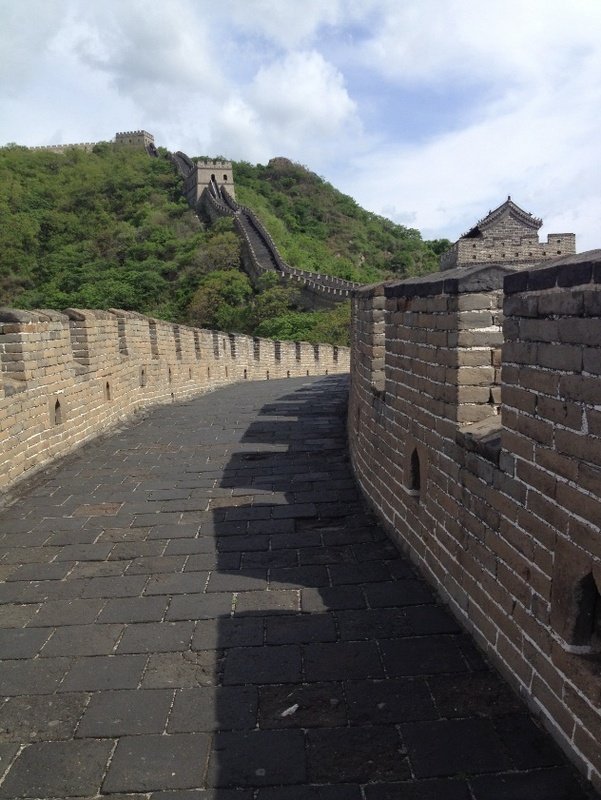 No trip to China is complete without a visit to the Great Wall (which they say is visible from space!) and of course Tiananmen Square and the Forbidden City. Beijing is the capital of China and has a population of over 20 million people. 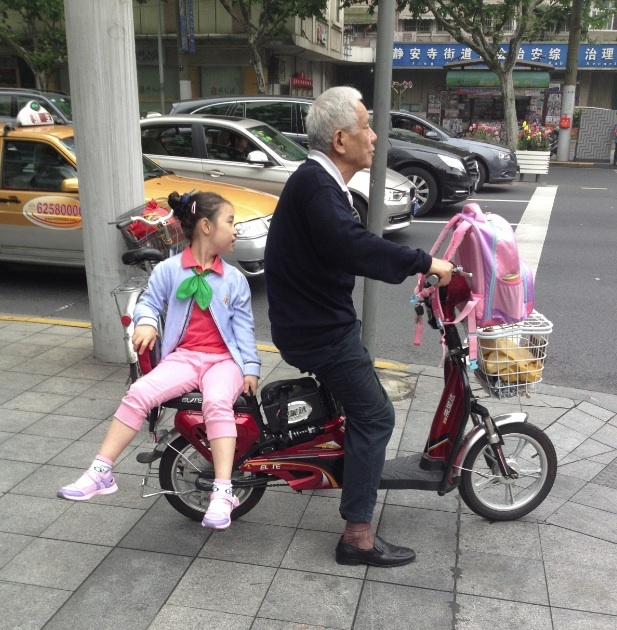 The school run in Beijing. The traffic is very busy and never stops, so it’s tricky to be a pedestrian. Lots of children go to school on the back of a scooter! 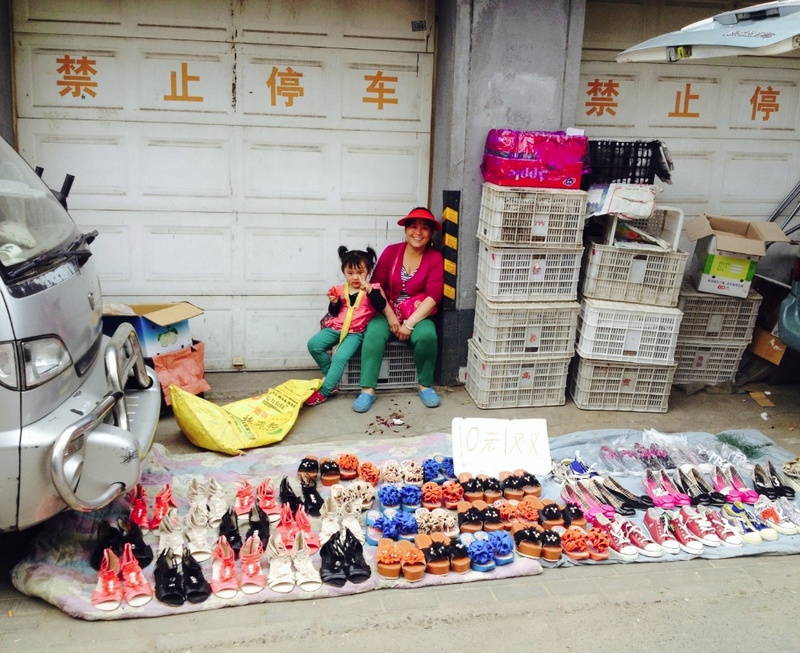 Selling shoes in a street market. There are lots of open-air markets where you can buy all sorts of things. 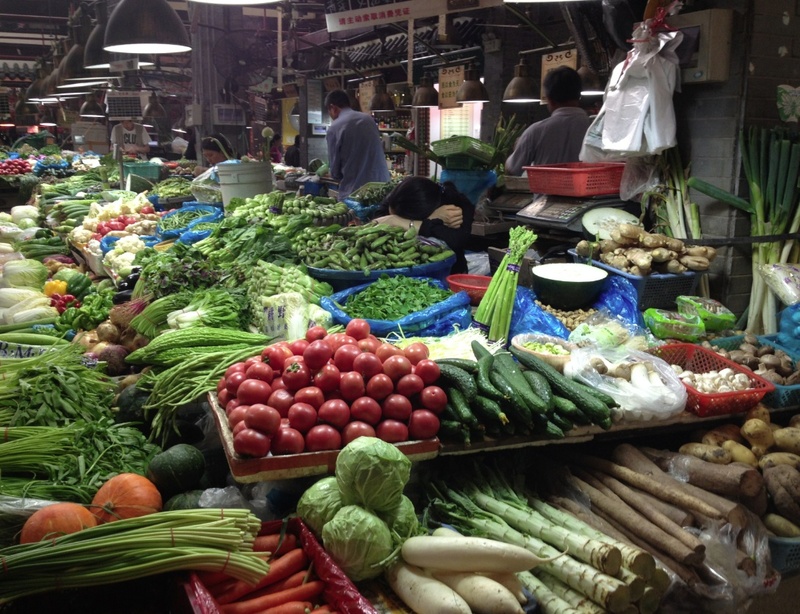 The most impressive displays are in the food markets where a huge variety of fruit and vegetables are sold. With 20 million people to feed, it’s not surprising! Fruit and vegetable stall in a Beijing market. The city is full of life at night, with lots of people out shopping or going to restaurants. 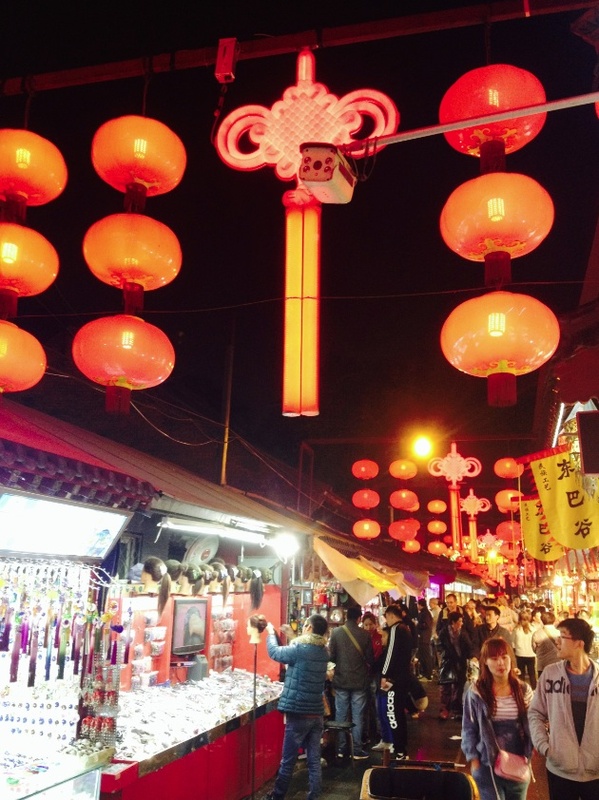 Lanterns light up the streets in Beijing. 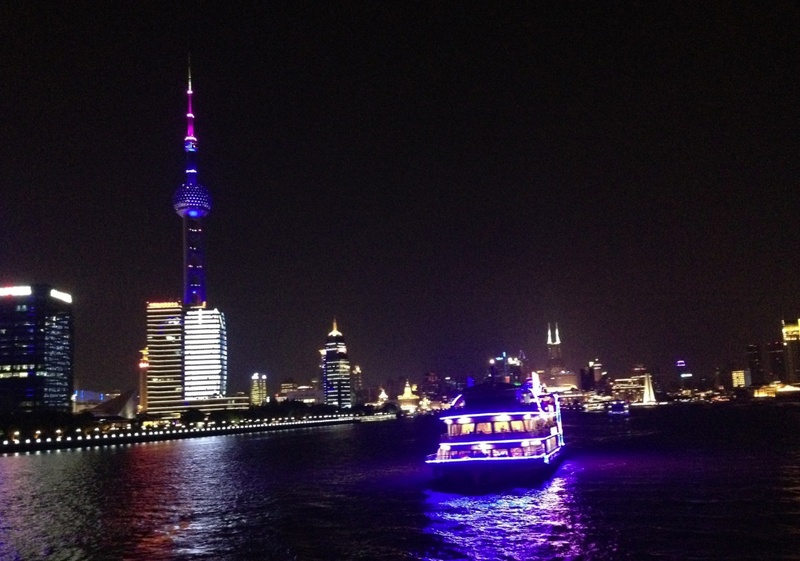 In Shanghai there are boat trips at night on the Huangpu River to see the Pudong district which is beautifully lit. The Shanghai skyline looks dramatic at night. Shanghai at night looks pretty impressive! 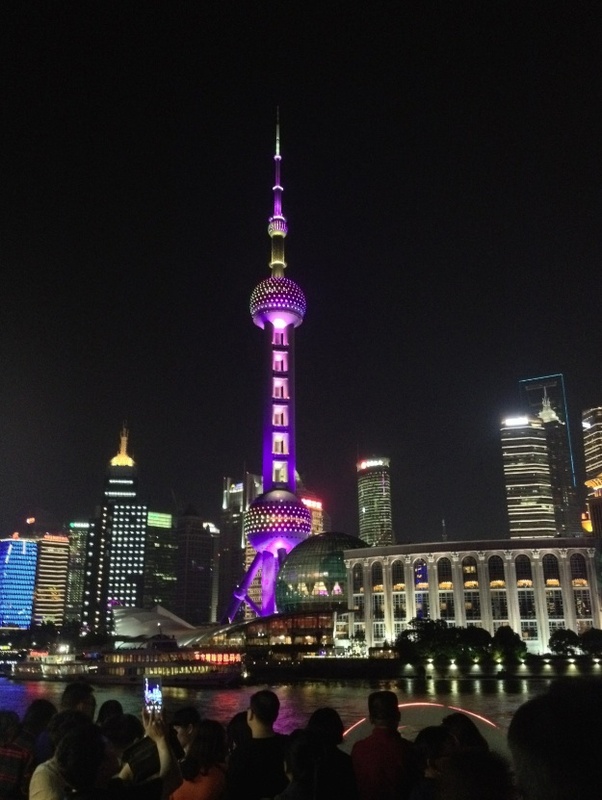 The big purple tower is called the Oriental Pearl Tower and is a television transmission tower. The view from the tour boat. There are some amazing buildings in the historic district of Shanghai as well. They are made of wood, and provide a huge contrast to all the modern glass and steel. To escape the big city there are lovely open spaces to enjoy. Parks are very popular and people meet to play music and do a little impromptu dancing. 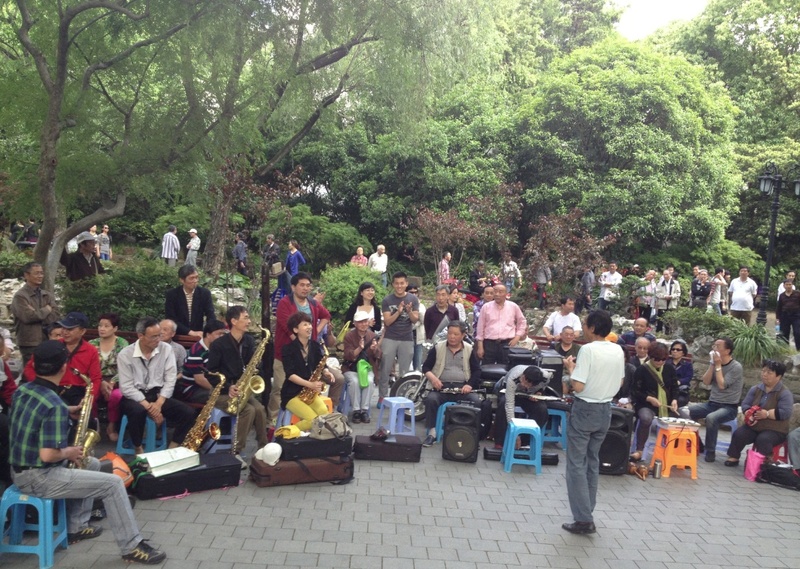 A musical gathering in the park. This park has a boardwalk along a pretty lake. It’s clearly a place for taking special photos and just enjoying a stroll in the fresh air. I think this is a fashion shoot rather than a real wedding. 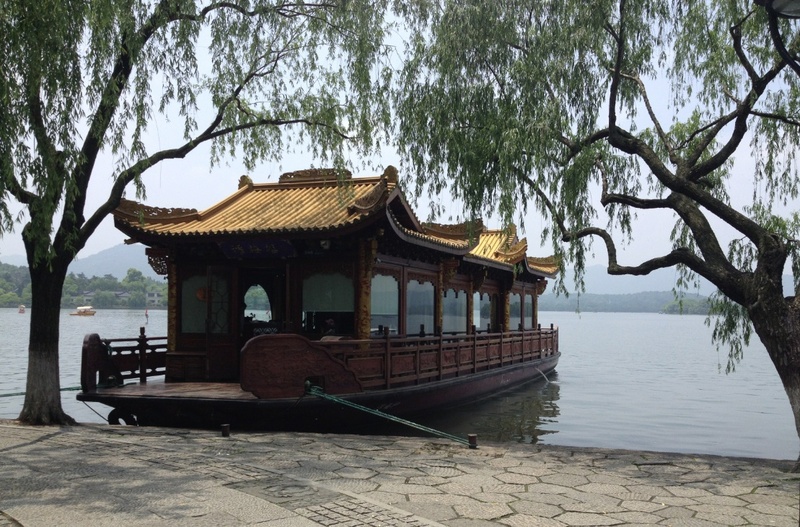 There were some surprising boats moored on this lake. 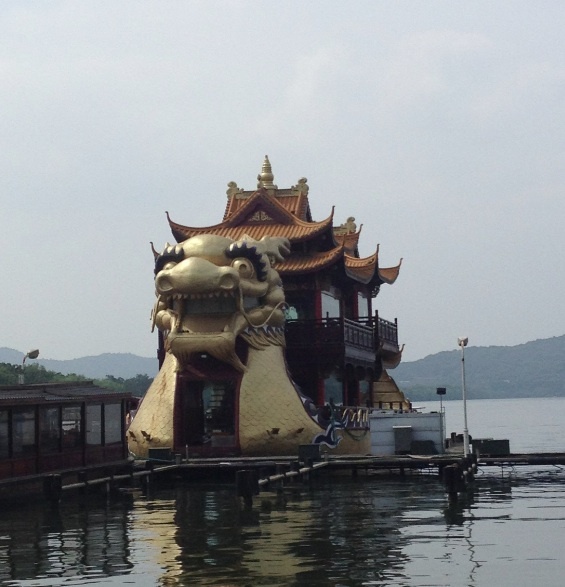 Would you like a dragon boat? What a perfect houseboat! It would be scary seeing this coming in the dark! This one is very elegant. I’d love to hop aboard! 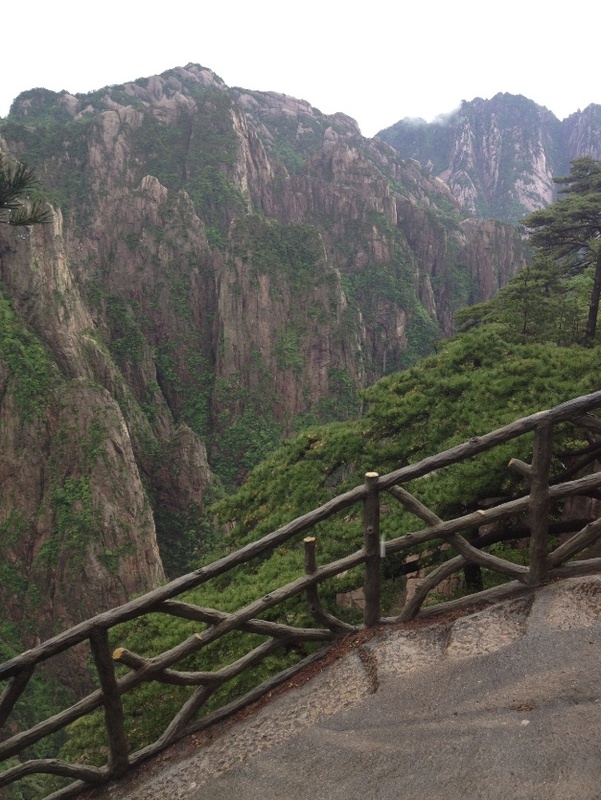 If you want to escape the city altogether then a trip to the Yellow Mountains of Huangshan is in order. The scenery is incredible, even if you arrive in fog and rain. A cable car takes you close to the top, where there are pathways and viewpoints. 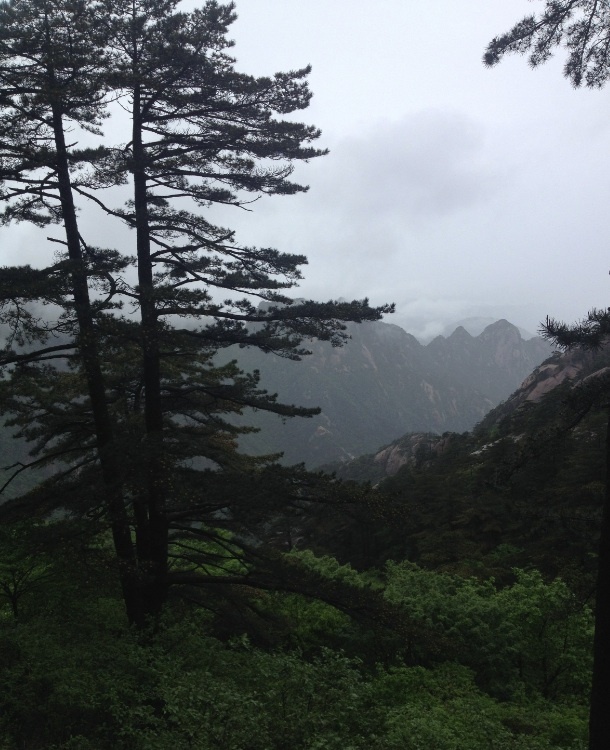 Climbing in the Yellow Mountains of Huangshan. 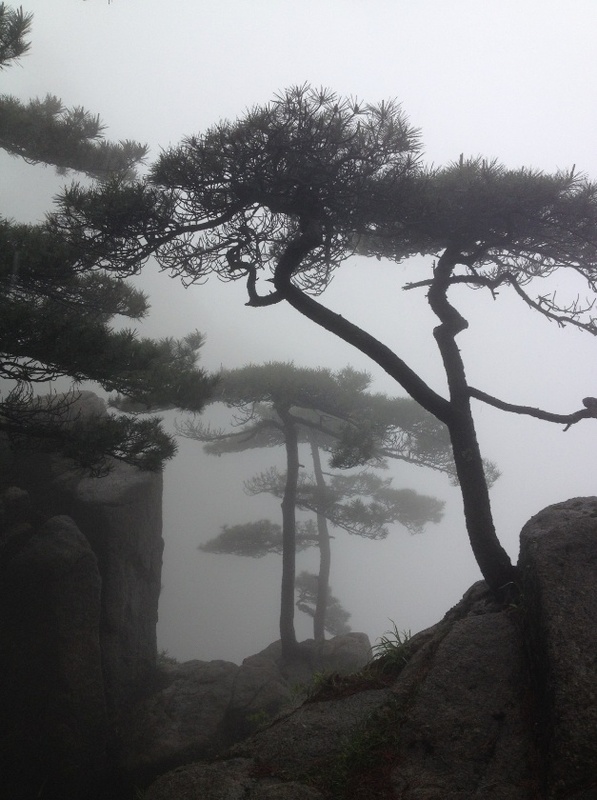 These trees and cliffs look just like the classic Chinese paintings we sometimes see on calendars and posters. They seem very mysterious in the fog! It’s a great place to visit if you are a nature photographer. Close to two million tourists visit these mountains every year. 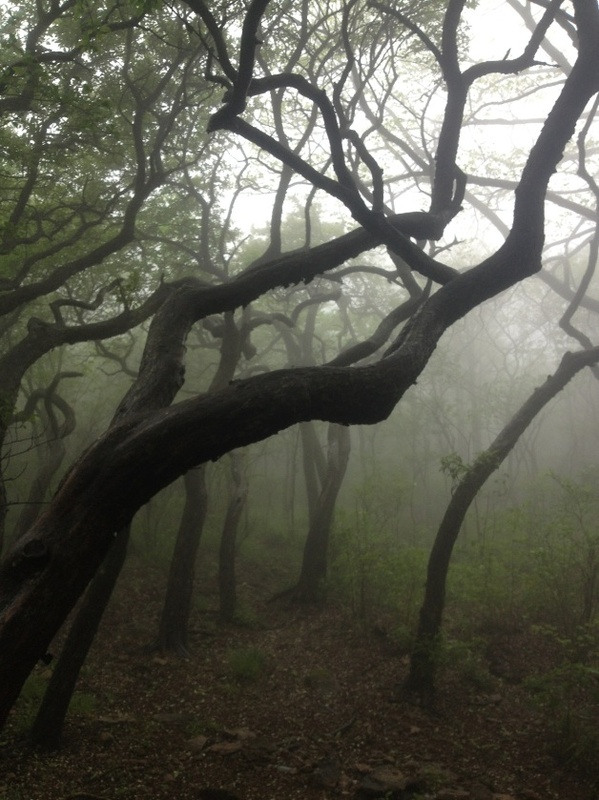 A magical forest on the mountain. What an inspiring place for storytellers! This must be the source of many ancient myths and legends. I hope I’ve inspired you to visit China some day.